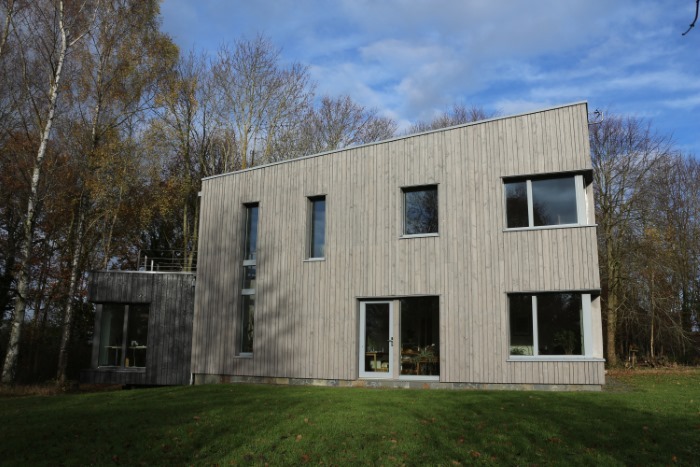 Liz and Mike Hill explain the decisions behind the design of their contemporary eco home. When Liz and Mike decided to downsize from their family home they took the opportunity to divide their existing plot and build on the land. 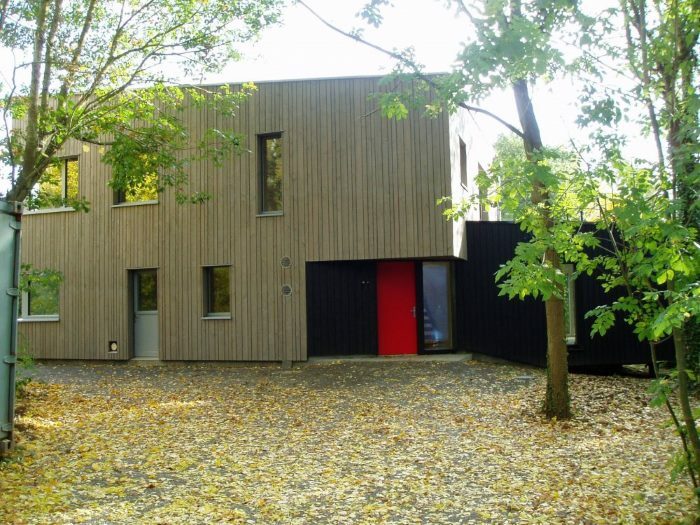 Ultimately their desire was for a sustainable property with functional and well-utilised spaces that worked better for their hobbies and for working from home. 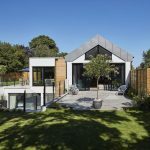 They produced an architect's brief outlining what they wanted in terms of size, number of rooms and how they wanted to use the spaces, but soon realised that what they were looking for wasn't available within their budget. Some of the architects they approached took their brief very literally and presented them with an unaffordable option based on what they had asked for. 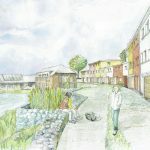 After narrowing it down to two local companies who had experience of Passivhaus, they selected Architype, who had said “we hear what you say, but what about these as alternatives?” That process of dialogue between them led to designs they wouldn't have expected when they started the process, but which they feel actually work very well for them. 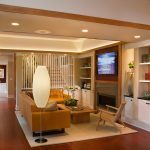 It was important for Liz and Mike to future-proof their home with the ability to accommodate elderly relatives if needed. They wanted a ground floor bedroom that could be converted into a bedsit with same level, wheelchair access to a bathroom. Liz was keen to buck the trend for totally open-plan living and wanted the kitchen to be separate from the living area so that noise, cooking smells and mess could be kept out of the way. They opted for three large bedrooms which they could use as studies or double bedrooms/guest rooms. Although they had space for four or five bedrooms they didn't want guest rooms sitting empty for the majority of the time. From the options that Architype presented them with, they chose a modern-looking design of two inter-locking cubes. 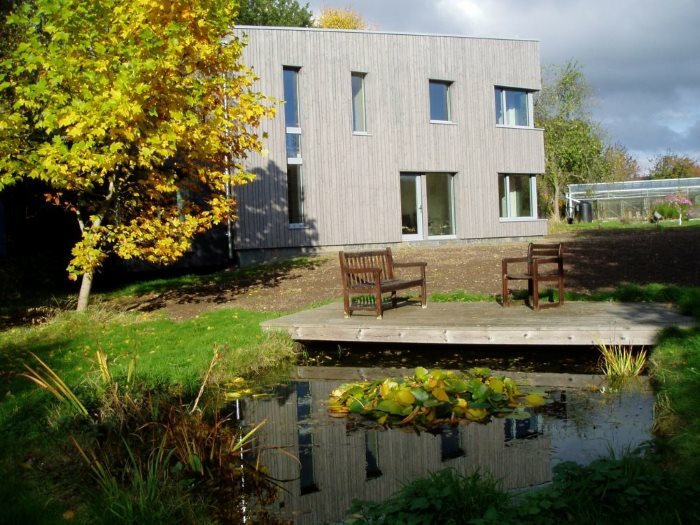 The interesting design did mean more consideration about window sizes was needed for it to meet the Passivhaus standard and prevent overheating. Being local, Liz and Mike were aware of Mike Whitfield Construction, his work and his reputation, so didn't go out to tender for the job. He was involved even before they went to planning and the ongoing three-way dialogue between themselves, Mike and Architype meant they could work together at this early stage to have confidence they were designing something that could be built effectively. 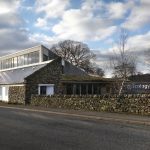 Investing this care and collaboration in the early stages ensured only minor tweaks were required throughout, and the final project came in within budget. Groundworks lasted from the summer of 2015 through to the end of that year. The building work started in January 2016, with the house being waterproof within eight weeks, and they moved in during November 2016. 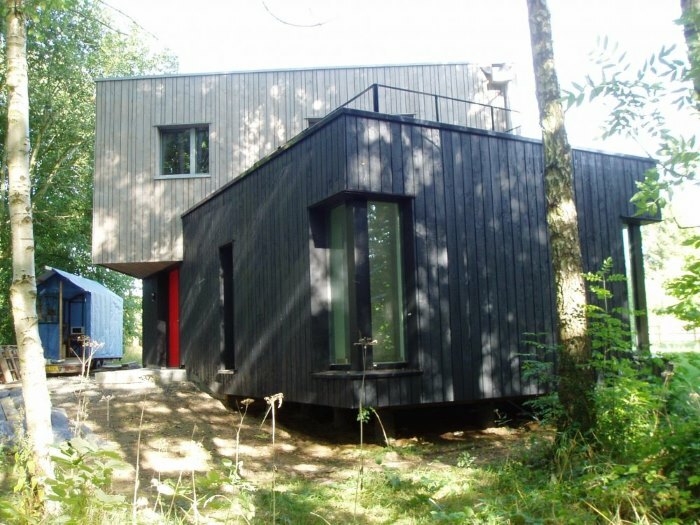 It has a timber frame construction using I-beams and Warmcel insulation. 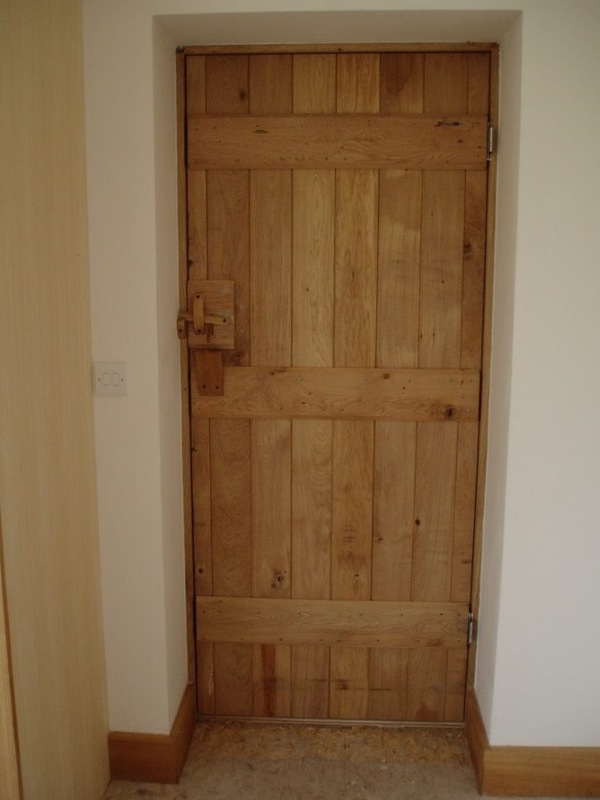 In some case Liz and Mike went with Mike Whitfield's suggestions, such as oak door with oak latch, which they feel have really added to the aesthetic of their home. 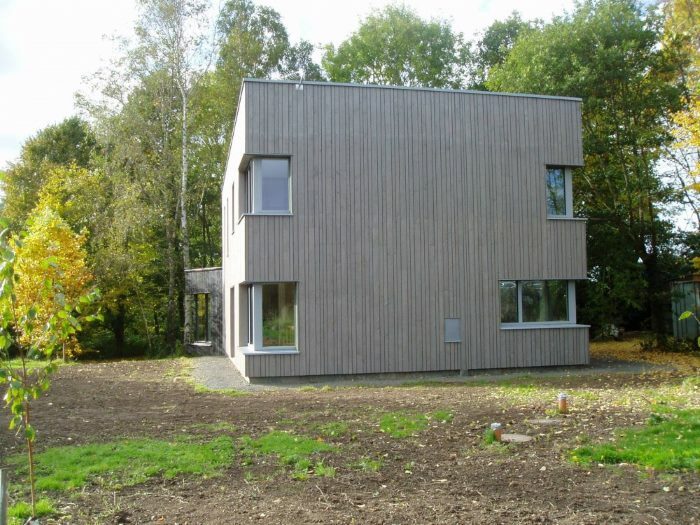 Although they were keen to have rainwater harvesting from the house, it didn't prove to be cost effective. Instead they are harvesting the rainwater from the garage and greenhouse which will be used outdoors. They have solar PV panels on the roof which feed into the hot water tank when they produce an excess of electricity, and has meant that between March and October they haven't needed the boiler on at all. In keeping with the history of the village having local orchards, they have planted an orchard area which also replaces some of the trees that had to be taken down for the build. 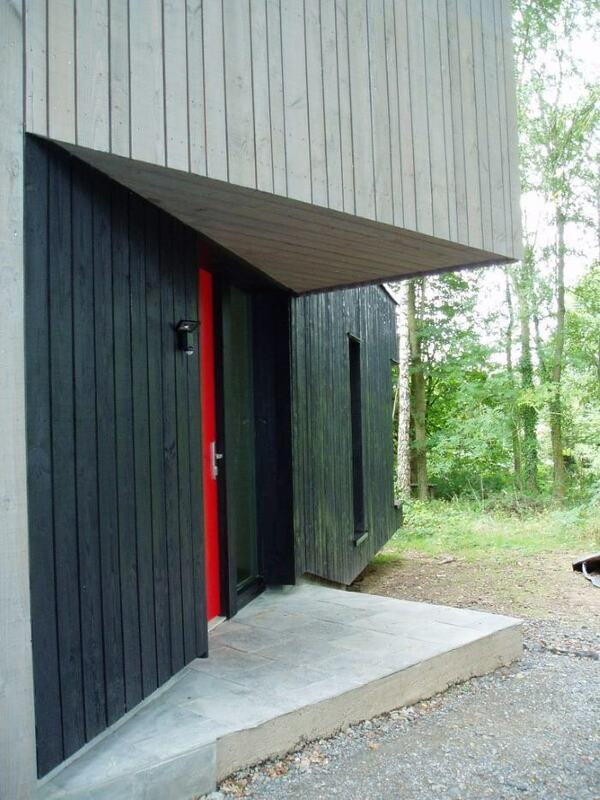 With the simple thermal envelope they don't have usable attic storage space. 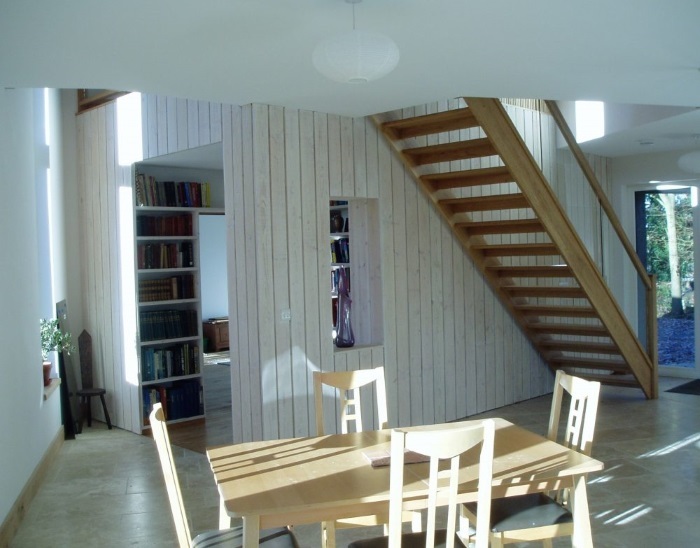 Instead the architects designed deep cupboards along the upstairs corridor and a walk-through library en-route to the study. 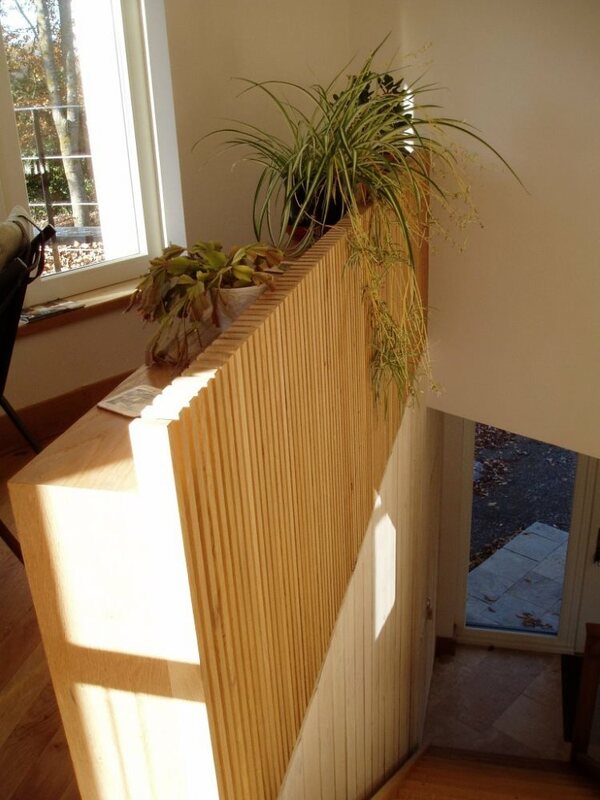 Liz and Mike are advocates for anyone wanting to build a sustainable home of their own. 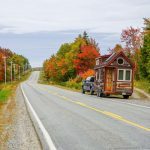 While they say it may have cost slightly more than a standard house, the long-term benefits in terms of energy saved means it more than pays for itself. The other noticeable difference for them has been in terms of the air quality. Mike has found that he doesn't sneeze as often as in the old house and that the regular air changes make it feel much fresher. Download a transcript of the interview with Liz and Mike Hill. 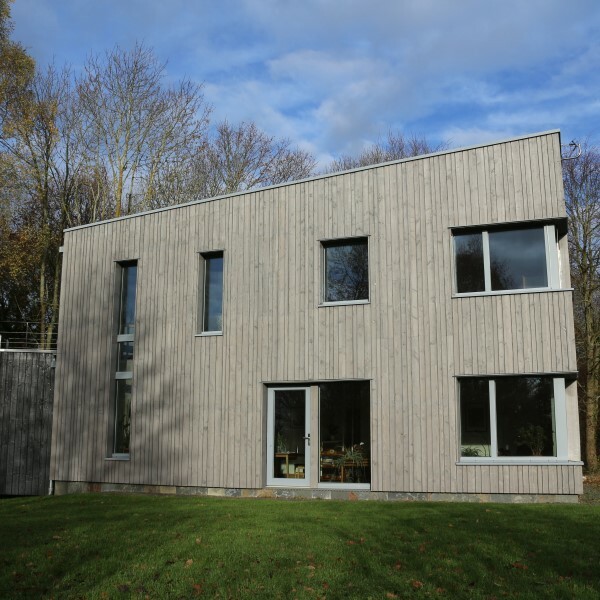 We have a new video episode of the Buckinghamshire Passivhaus case study available to view for members in The Hub. Paul Jennings is carrying out the preliminary airtightness test and, not wanting to spoil the surprise too much, it's the best he has ever tested! But as I zoloft generic list see it theyll have to make diligent..